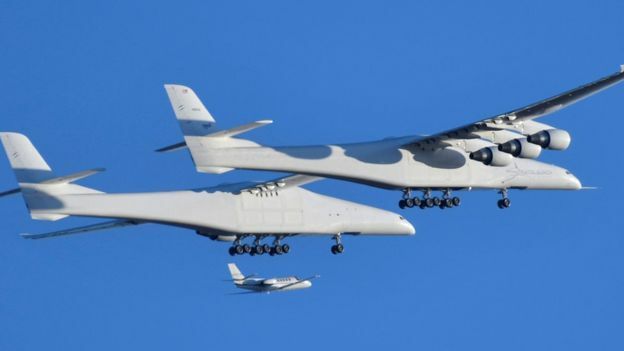 The World’s largest aircraft took to the skies over the Mojave Desert on Saturday, April 13th for the first time during an uneventful test flight. 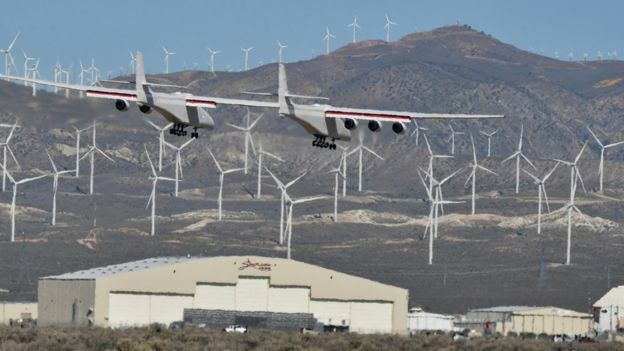 The powerful, impressive six-engine jet built by Stratolaunch Systems Corporation, which was founded by Paul G. Allen, also co-founder of Microsoft, successfully completed its first flight, staying airborne for two and a half hours at the weekend. During the flight test the worlds first all-composite aircraft reached its maximum speed of 189 miles an hour and climbed to around 17,000 feet. The aircraft features a twin-fuselage design and has a wingspan greater than the length of an American football field, and is designed to be a mobile launch platform that will enable airline-style access to space that is convenient, affordable and routine. 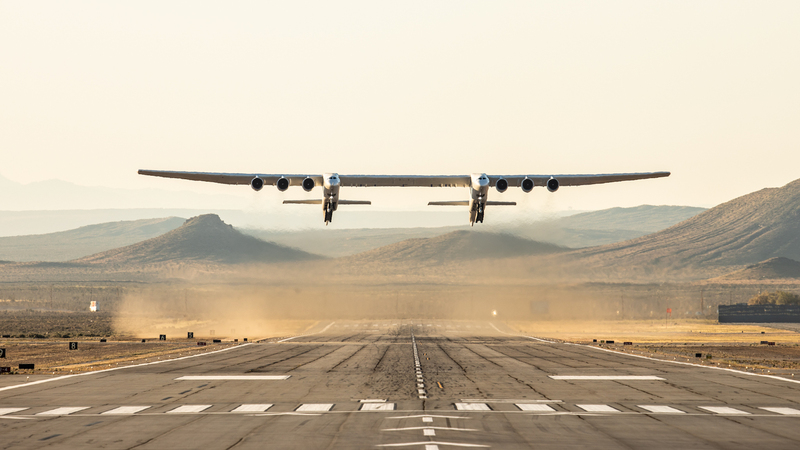 The reinforced centre wing area can support multiple launch vehicles, weighing up to a total of 500,000 pounds.